Luckily, most of us don’t need six locks on our doors. Today’s lock technology has advanced so far that one or maybe two locks normally do the trick. So let’s take a look, in this article, at the new lock technologies and a few of the old ones, too, with the goal of giving you a good sense of what’s available and what works best for your doors—and the safety of you and your family. Since the main goal of a lock is to keep out the dishonest and the dangerous, you’ll want to carefully consider the available choices. First, home break-ins happen much more commonly than most people think. Last year in the United States, more than two million homes were burglarized. That means a home burglary occurred four times every minute—one burglary every 15 seconds. On average, the FBI says, homeowners lost more than $2000 each time a home was burglarized. A third of those intruders came into the home through the front door, and another third entered through the back door. Some of those homes weren’t locked, but most were—and the burglars got past those door locks easily. So let’s check out the three standard kinds of door locks, and evaluate. Take a look at your home’s doors—you probably have either a dead bolt lock; a handle set; or a keyed-entry doorknob. If, like Elayne Boosler, you already have multiple locks, you’re probably already covered—but if not, read on. Here’s my main rule—every exterior door in your home should have a deadbolt. But which deadbolt to buy? At your standard big-box home improvement store, you’ll find a dizzying array of locks across a wide spectrum of prices. Let’s sort them out. Most locks come in one of three grades: Commercial duty, called Grade 1; Grade 2 locks, which tend to be the better, more expensive and more secure home units; and Grade 3, the cheaper units that I’d recommend you avoid. All deadbolts should be clearly marked with one of these grades. The better, Grade 1 or 2 deadbolts come with features that will definitely keep your home more secure. Dead-locking latch bolts prevent the old credit card trick, which involves slipping a thin piece of plastic into the gap between the door and the jamb to move the deadbolt. Hardened pins and bolts make sawing through the metal very difficult; and heavy-duty strike plates help prevent the door from being kicked in or forced open by breaking the door jamb itself. What to avoid? I would not recommend, nor would most fire codes permit, double-cylinder deadbolts. That’s the kind with keys on both sides, which can be dangerous and even deadly in case of a fire. Yes, double-cylinder deadbolts prevent burglars from breaking the glass in a door or a sidelite and reaching around to unlock the door, but they have also been responsible for locking homeowners in when they need to escape, too. Many homes today have decorative handle sets, which often combine deadbolts with a keyed latching system. Some locksmiths and manufacturers call these sets exterior-door or cylindrical locksets. Typically they have levers or doorknobs that work together with an integral deadbolt. If your doors have handle sets, or you’d like to install them, I’d recommend Grade 2 with a six-pin (rather than five-pin, which is easier for a burglar to pick) keying system and an emergency-exit feature that allows anyone inside the house to open both the interconnected door lock and the deadbolt in one motion. Lots of manufacturers now offer universal keying for their locksets, which means you don’t have to carry a janitor-size key ring—just one key will fit all your home’s locks. Many locksets now come with a digital entry keypad, which does away with a mechanical key entirely. Some higher-end manufacturers are now making remote-control locksets, too, and while they can be costly, they do have some desirable features for some homeowners. Finally, keyed-entry doorknobs are the simplest and most basic of all locks--they’re just a doorknob with a slot for a key. A keyed-entry doorknob is usually the cheapest option, but many of these units invite burglary. They’re sometimes easy, depending on the grade rating, to simply overpower with a large pair of pliers or a hammer. Also, every keyed-entry doorknob has a decorative plate behind the doorknob called a rose, and that part of the mechanism is one of its weak spots. Burglars simply pry off the rose, and then have access to the inside of the lock, making it easy to pick. In better quality keyed-entry doorknobs, you’ll find a protective metal shroud behind the rose, which makes it much more difficult to defeat. 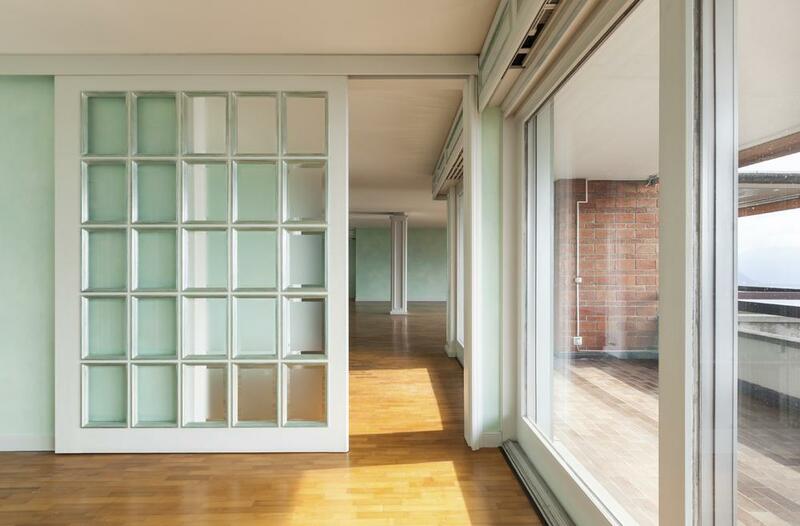 If you have sliding glass or French doors in your home, you’ll want to make sure that you have at least Grade 2 locks on those doors, as well. Sliding glass doors can be made much more burglar-proof with a simple metal or wooden bar that prevents the door from opening even if the lock is picked; and exterior French doors will all need a vertical locking system that prevents the doors from simply being pushed or pulled open from the outside. Finally, a great many doorknobs, locksets and deadbolts have a wide variety of finish options and decorative possibilities, too. Picking hardware for your home that matches the period of the house and your décor can make a huge difference in the look of the entire house. If you have a Victorian home, for example, don’t pick a shiny modern brass lockset—it’ll look completely wrong. Also, choose a lockset or deadbolt with a lifetime finish warranty, to prevent your new locks from tarnishing and rusting in a few years. 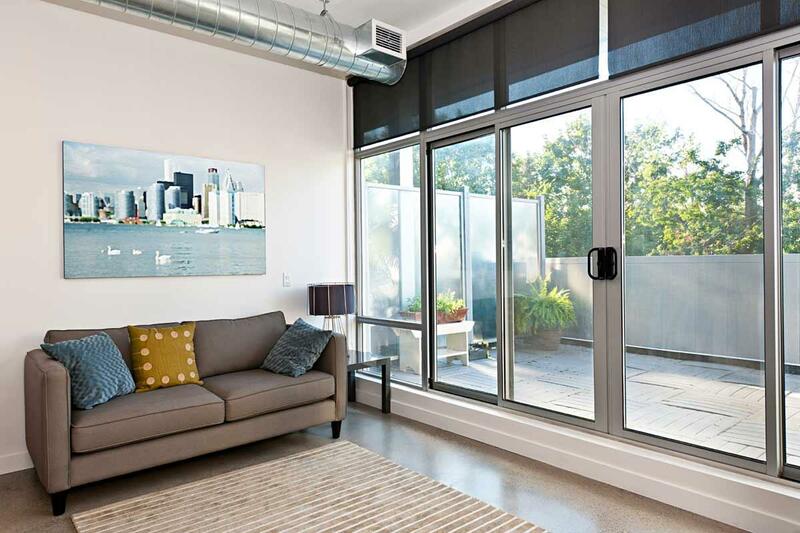 Sliding Glass Doors: Brighten Up Your Home!